Join Progressive Mariposa members in welcoming Karen Dusek and Janette Gamble, Mariposa County Library staff, and Sean Frame, founder of El Dorado Progressives and Candidate for Congress, at their next general meeting on Saturday, March 16, 2019. The meeting will be held at Miner’s Roadhouse 140 in Mariposa at 10:00am. Karen and Janette will be talking about various Library programs, including Adult Literacy, Makerspace, computer classes, family movies, Story Time, the Write to Read radio program on KRYZ, and the seed library. Sean will give a short talk and will lead a discussion on local issues and the local take on national issues. To focus the discussion portion, he will ask people to write down three important local issues, and three national issues that are shaped by the local landscape. Folks can then share and and discuss. Karen is co-coordinator of the Mariposa County Library Adult Literacy Program, which began in 2011, as well as coordinator of the Library’s Green S.T.E.A.M. Makerspace program. 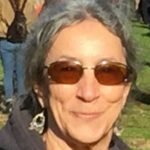 She was the Mariposa County Recycling Coordinator for several years, a reporter for newspapers both here and in Massachusetts, and founded and directed (from 1991-2003) the Soule Homestead Education Center, an organic educational farm in Massachusetts, which is still in operation. She has an MA in Mass Communications/Journalism and undergraduate degrees in environmental studies and clothing & textiles. Janette moved to the Mariposa area in 1992 when she accepted a teaching position at Mariposa Middle School. She took an academic year off (1995-1996) and moved to Arcata to attend Humboldt State University for an Administration Credential. When she returned to Mariposa in 1996, she taught at Spring Hill School. In 1997, she became Teaching-Principal (and Special Education Teacher) for Yosemite Valley School. She retired in 2006. From 2007-2011, she served as a Trustee on MCUSD/MCOE School Board. 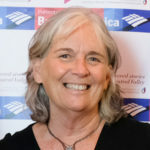 After that, she helped start-up the Sierra Foothill Charter School in Catheys Valley, serving as Curriculum Consultant and briefly as Principal. For a while she was a volunteer tutor with the Library’s Adult Literacy Program and in 2016 became a co-coordinator (with Karen Dusek) of that program. She received a BA degree in Anthropology from U.C. Berkeley, and worked briefly in Museum Conservation at the Smithsonian Institution. She has a Masters Degree in Special Education and work experience (prior to Mariposa) with Juvenile Offenders (Project Fresno Pride – alternative to CYA) and as a Special Day Class teacher (West Fresno Middle School and Kings Canyon Unified). Sean lives in Placerville, El Dorado County, with wife Ellyn Donovan. He’s been on the Placerville Union School Board for 7 years where, along with his colleagues, they oversee the education of over 1300 local kids and manage a budget of $12 million. In that role, he has become an education policy expert having completed the California School Boards Association Masters in Governance Program. Most of the time, they have the great privilege of watching their students grow into successful adults. Other times, they help children overcome obstacles ranging from learning disabilities to hunger, trauma, and homelessness. All the time, they work to ensure that ALL of the children have excellent public schools in which they can learn and have an opportunity to excel. Sean also owns a film production company. 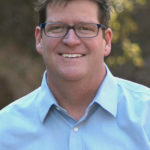 As a small business owner and consultant with a deep understanding of a wide range of industries and NGOs, he has the experiences of dealing with common small business problems such as rising healthcare costs, exponential insurance rate hikes, the impact of government shutdowns, and more. Most recently, he became an activist and organizer, co-founding El Dorado Progressives–the largest non-partisan political organization in the county–with more than 2100 members. This organization has focused on progressive, values-based actions in our community including Community Medicare for All forums, immigrant community support and Know Your Rights events, candlelight vigils and marches, creation of progressive youth events and trips like our trip to March for Our Lives in Washington DC with eight high school students, and successful lobbying of City and County Government on issues of interest to our progressive community. He says he isn’t a ‘problem solver’ – he just gets out and solves problems. For more information, please send an email to info@progressivemariposa.org or call (209) 336-0186. The April General Meeting will be held Saturday April 20, 2019 at 10:00am at Miner’s Roadhouse. Special Guests will include Janet Chase-Williams, Mariposa County Head Librarian. Our May General Meeting will be held Saturday May 18th and we will welcome Nicole & Greg Little, co-owners of the Mariposa Gazette. Progressive Mariposa, Inc. is a non-partisan group who strive to educate our communities with outreach and timely and appropriate information and calls to action on specific issues and policies. General Meetings are open and free to the public, although donations to defray room and program costs are welcome. Email info@progressivemariposa.org or visit www.progressivemariposa.org for more information about other activities and events.